I deal in a lot of special and beautiful cars. Every now and then, though, I get to be the caretaker of a car that just takes my breath away every time I look at it. 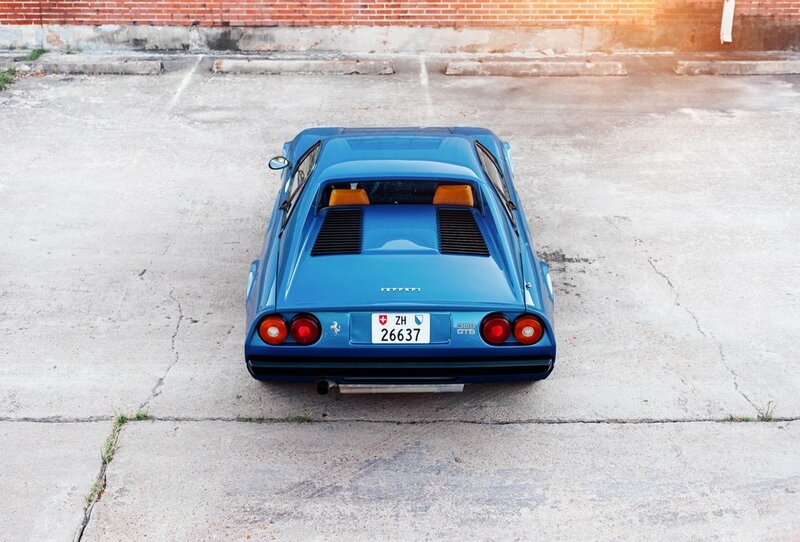 This is a 1978 Ferrari 308 GTB, in utterly stunning Dino Blue Metallic over Beige interior. 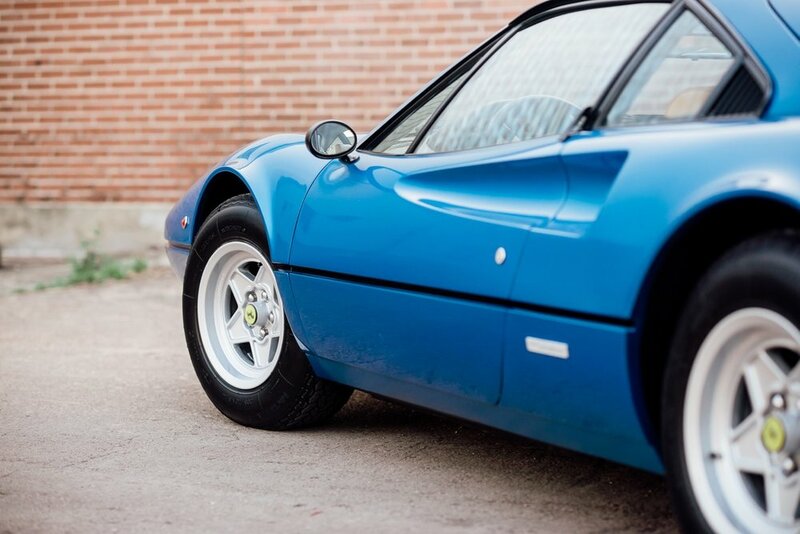 This 308 GTB is a European model that was never federalized for the US market; I actually imported this car into the US for one of my customers in early 2016. 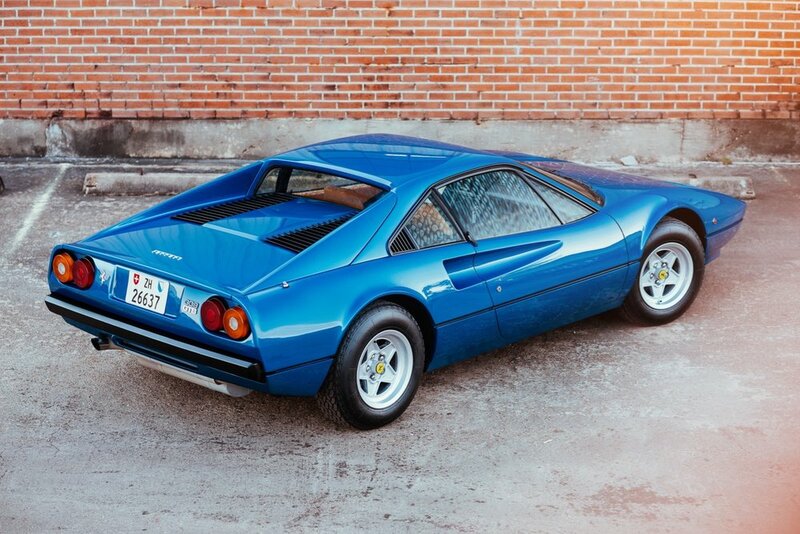 And, being a Euro 308 GTB, it has the much-coveted dry sump version of the 3.0 liter Ferrari V8 along with a single distributor. Having never been federalized, like almost every other "gray-market" Euro 308 in the US, this car was never "cut up" for side markers, door beams, and the like. 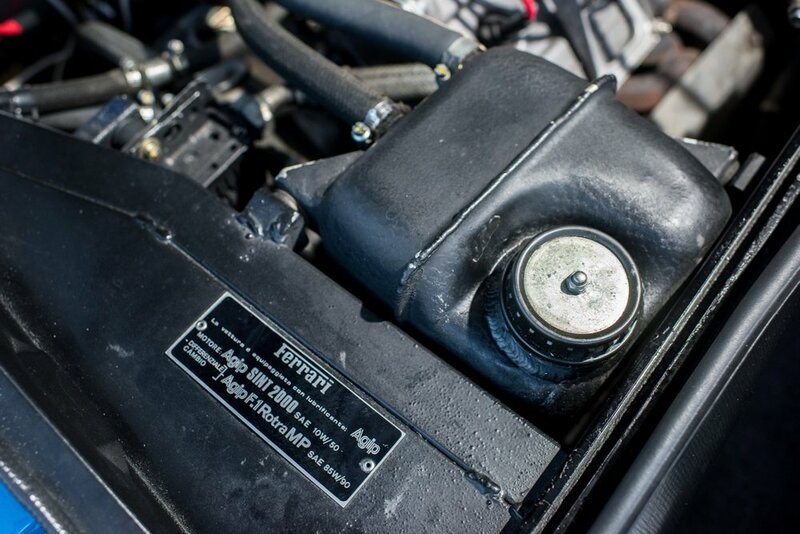 Similarly, the engine was never modified to meet power-sapping emissions requirements, usually haphazardly done by unknown and long-out-of-business shops. 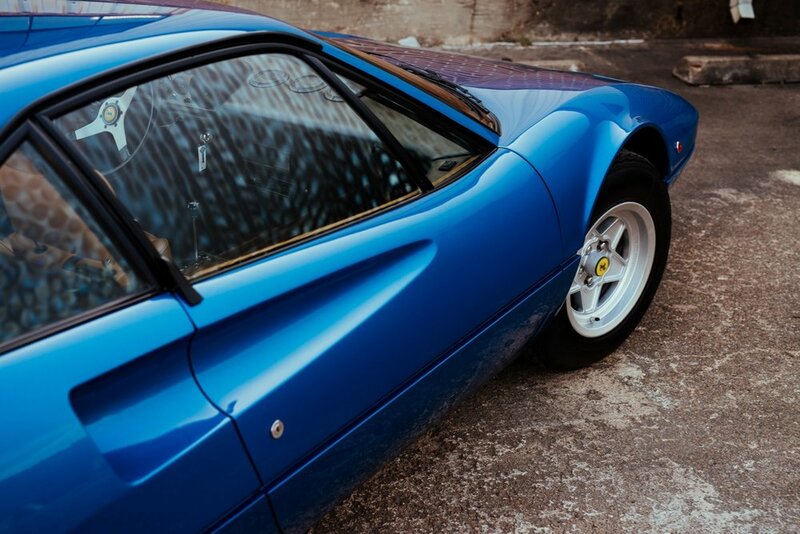 This 308 is truly the purest expression of what a Ferrari 308 was meant to be, and it is a very different experience than a US model. 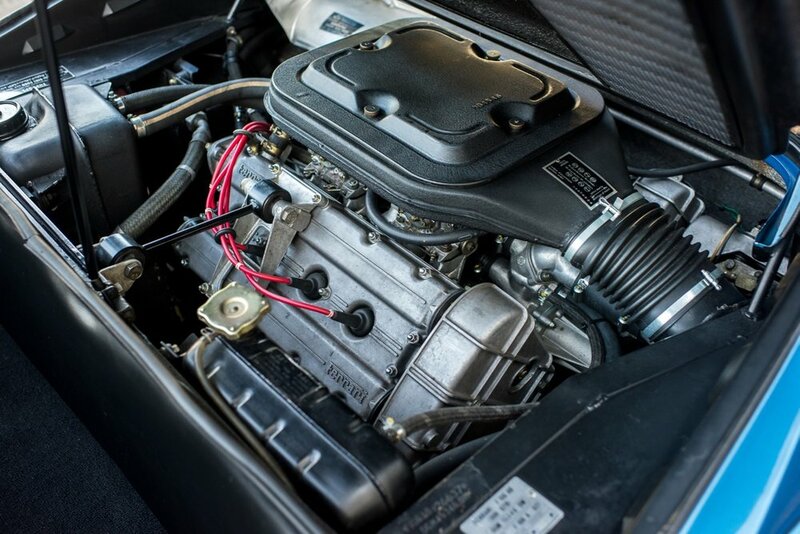 The sound of the air rushing into the carbs, the unrestricted exhaust, the different cams and tuning, all add up to a driving experience that is simply breathtaking. 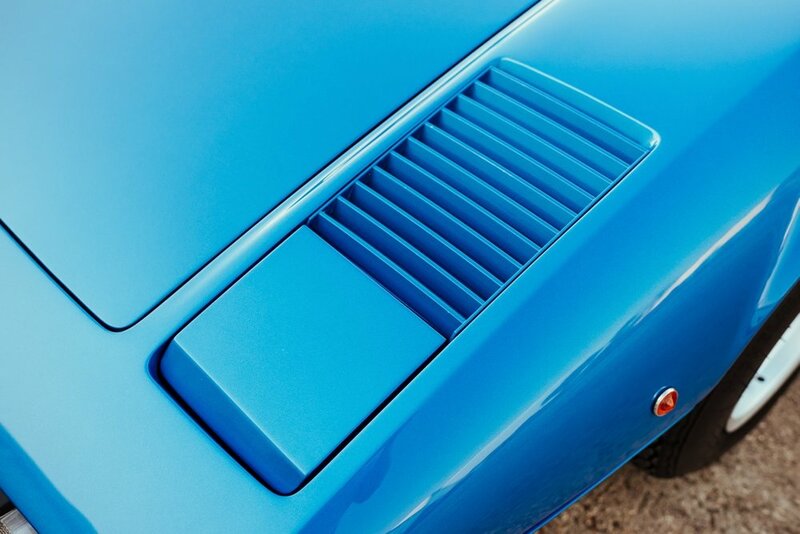 And, the cosmetic condition is truly concours-ready. 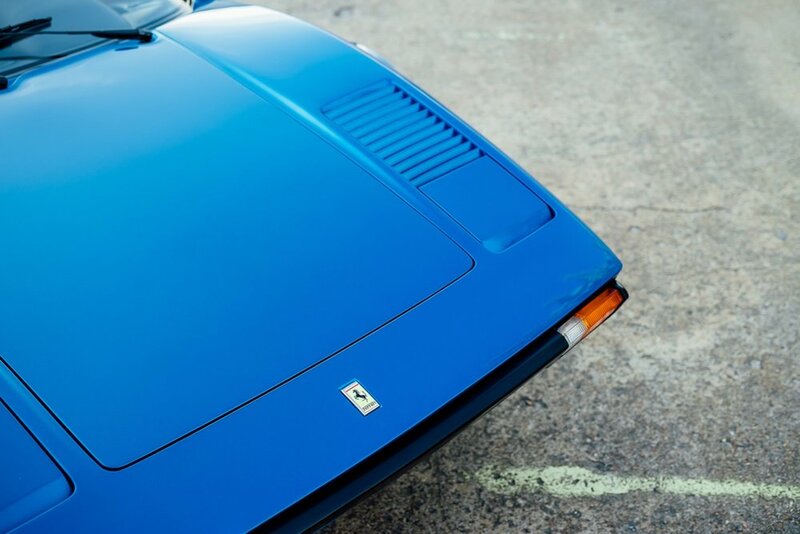 The Dino Blue Metallic paint, the original color for this car, was professionally redone in 2011 and frankly is of a higher quality than what Ferrari could do in the 1970s. 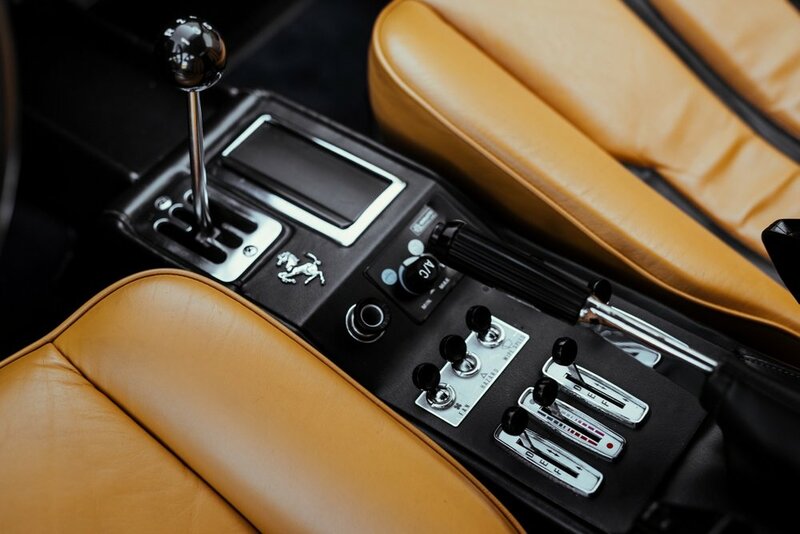 The interior is completely original, from the seats to the dash to the carpets. All switchgear is functional, and the air conditioning blows cold. 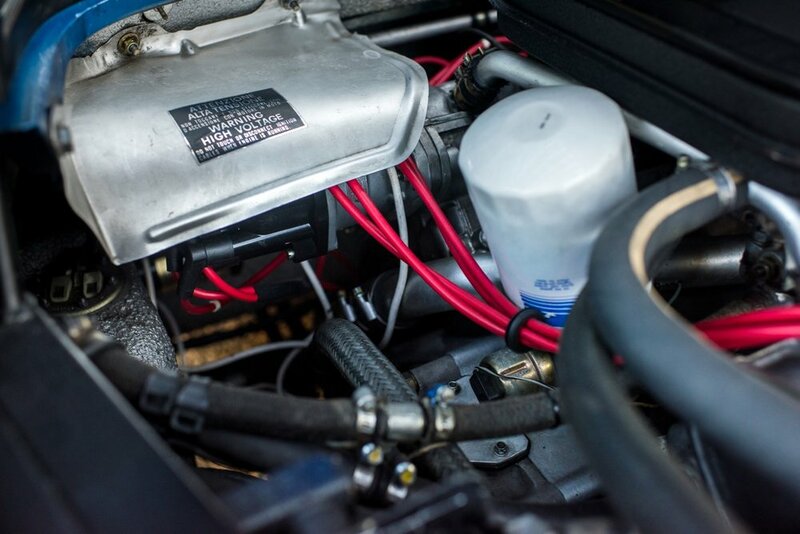 Mechanically, the car is completely sorted; a major service, including timing belts change, was performed in early 2017, as well as carb tuning, distributor rebuild, and installation of the original exhaust. 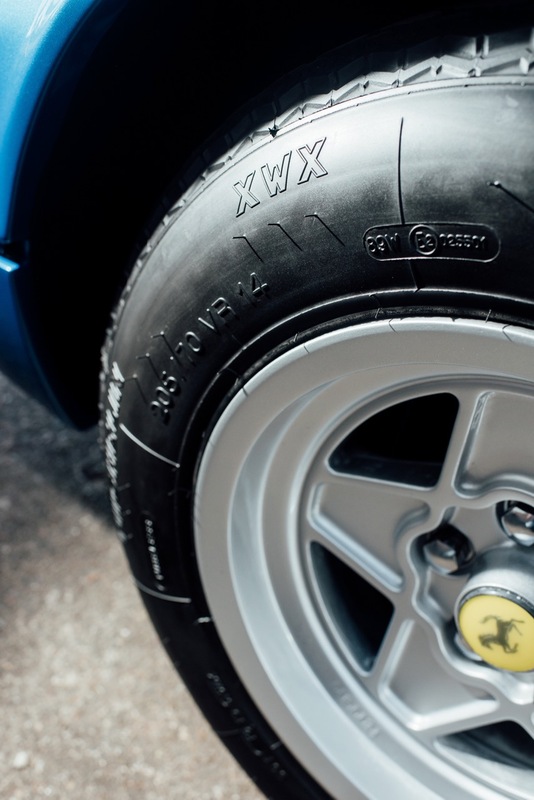 I have also installed new Michelin XWX tires on the original and correct 14" Cromodora wheels, as well as done some very minor mechanical and cosmetic work to bring the car up to my standards. 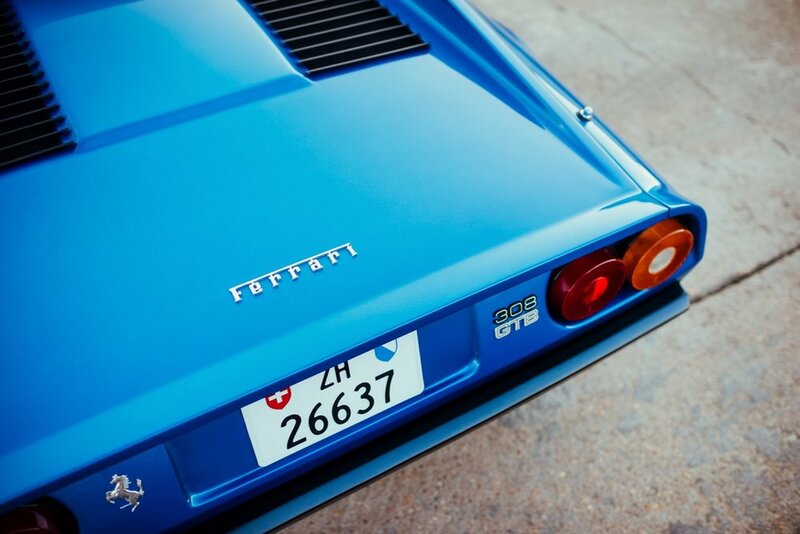 This 308 had lived most of its life in Switzerland, and then for a few years in the Netherlands, before import into the US. 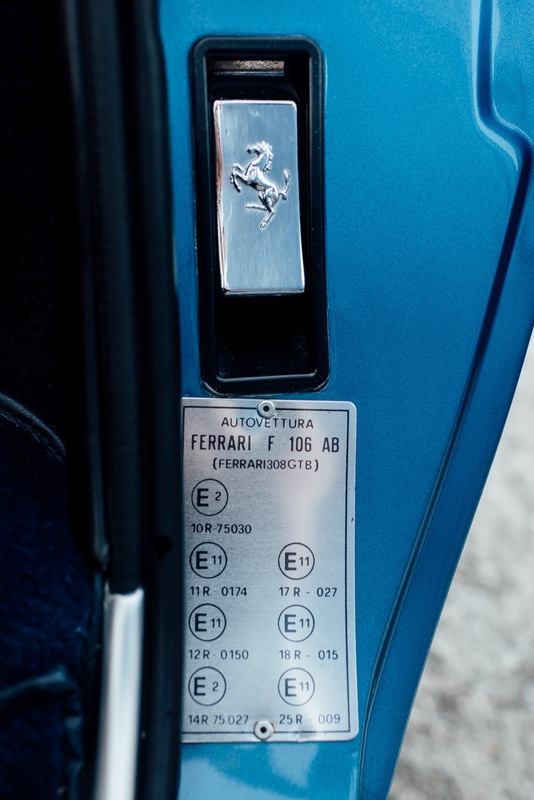 The Swiss take fastidious care of their cars, and the warranty book is full of stamped services going back to new, documenting the displayed mileage of 88K kilometers or approximately 55K miles. In fact, all records and receipts are present, as are all accessories: the toolkit, jack, owners manuals and pouch, even the European warning triangle. 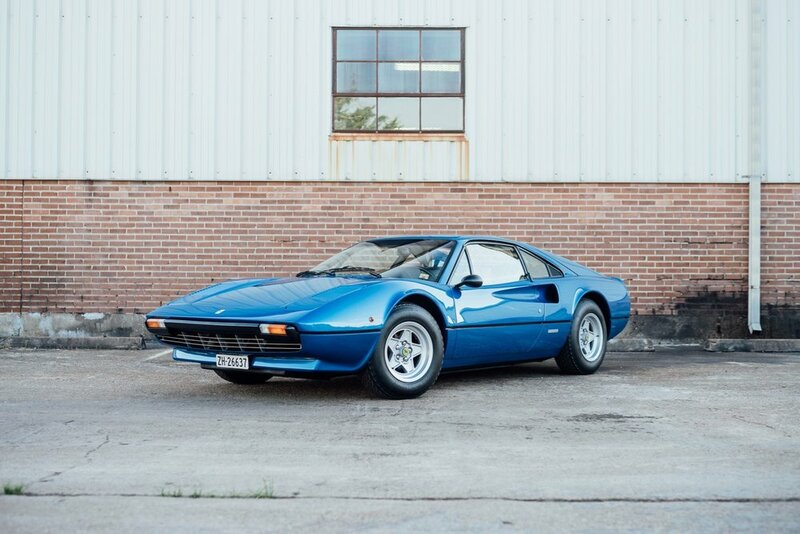 Hopefully it can now be understood why this 308 GTB is not the average 308 on the market. 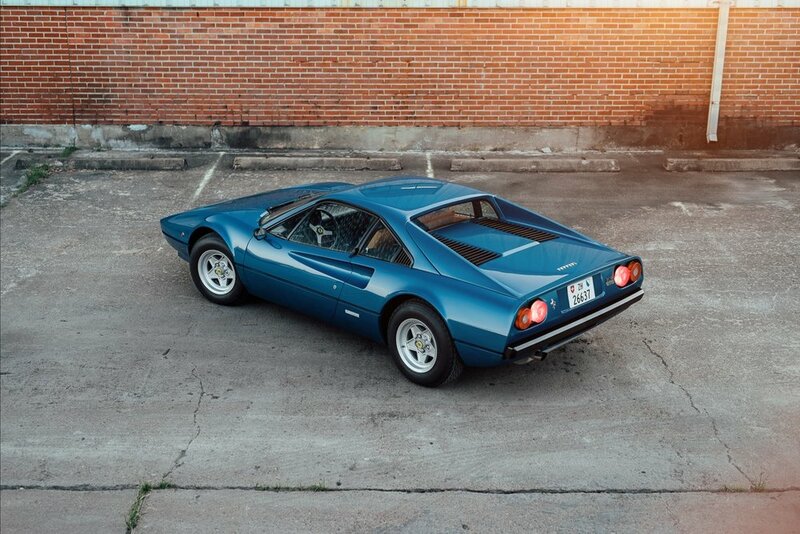 Next to the early fiberglass cars, a dry-sump single-distributor never-federalized European model 308 GTB is the most desirable of the entire 308 range, and cannot be compared to a typical US-spec 308. 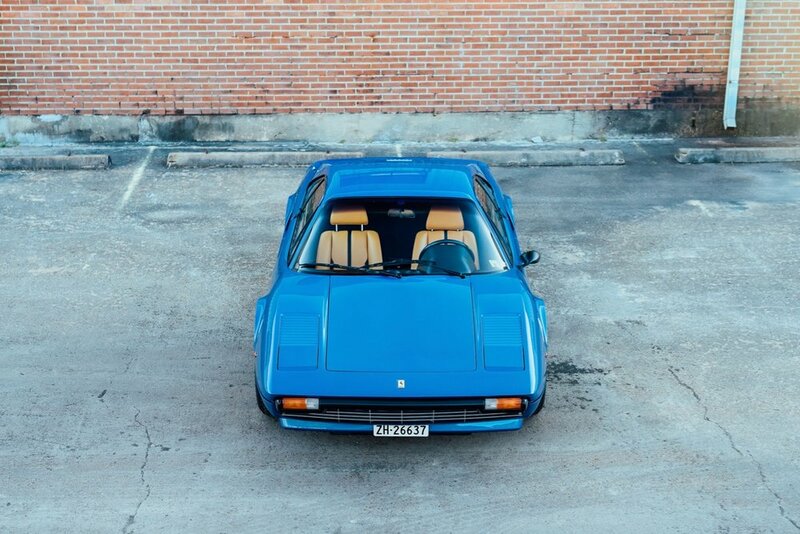 This is a fully sorted and utterly stunning car, ready for a national-level concours, a discerning collector's garage, and unparalleled enjoyment on the road. 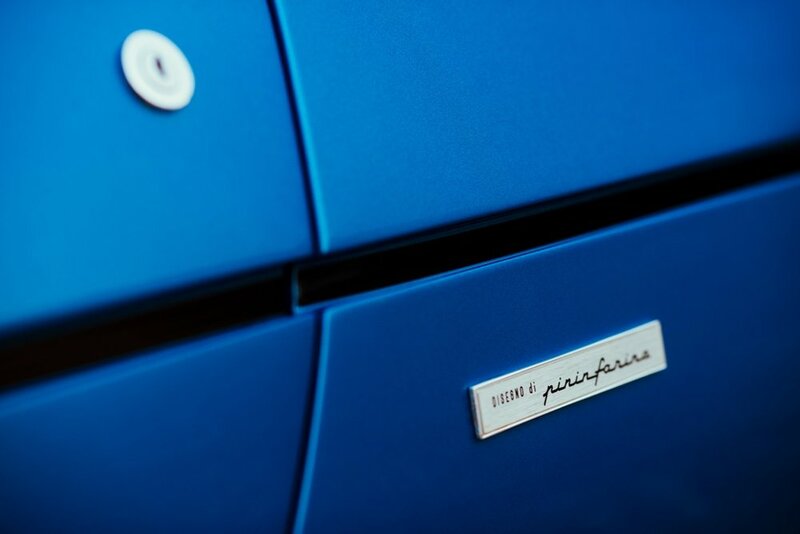 I look forward to speaking to you further about this very special automobile; please contact me at 832-617-0494 or michael@mbrandonmotorcars.com.